Loooch Racing Stable Inc.'s and Glen Ellis' War Story has been scratched from Saturday's G1 Jockey Club Gold Cup, according to a report by the Daily Racing Form. Owner Ron Paolucci told the Form Thursday morning that the 4-year-old Northern Afleet gelding did not eat Wednesday night and had a temperature this morning. In addition, War Story was also treated with the tranquilizer Dormosedan within the prohibited time frame allowed, and would've had to been scratched from the race, according to a steward with the New York State Gaming Commission. According to veterinary records published on the gaming commission's website, War Story was administered .25 ml of Dermosedan. 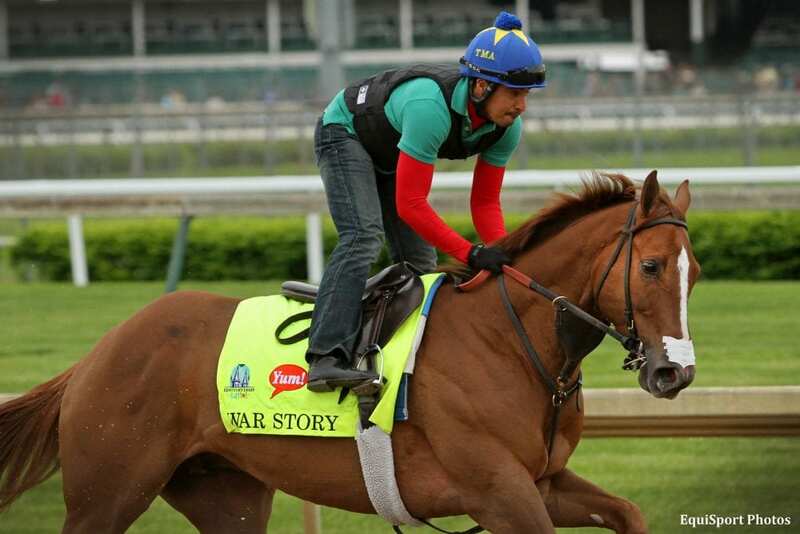 War Story is based at Parx and is trained by Mario Serey; the gelding was scheduled to ship to Belmont on Thursday. Paolucci told the Form that he was unaware that any rules had been violated. This entry was posted in Racing and tagged belmont park, Breeders' Cup, dormosedan, Horse Racing, jockey club gold cup, Mario Serey, Ron Paolucci, thoroughbred, war story by Paulick Report Staff. Bookmark the permalink.